So here my first post is starting with the Name of Allah Almighty..
My Today’s Tutorial post is in fact a sudden post, I made this tutorial by chance! Now see how is my effort.. 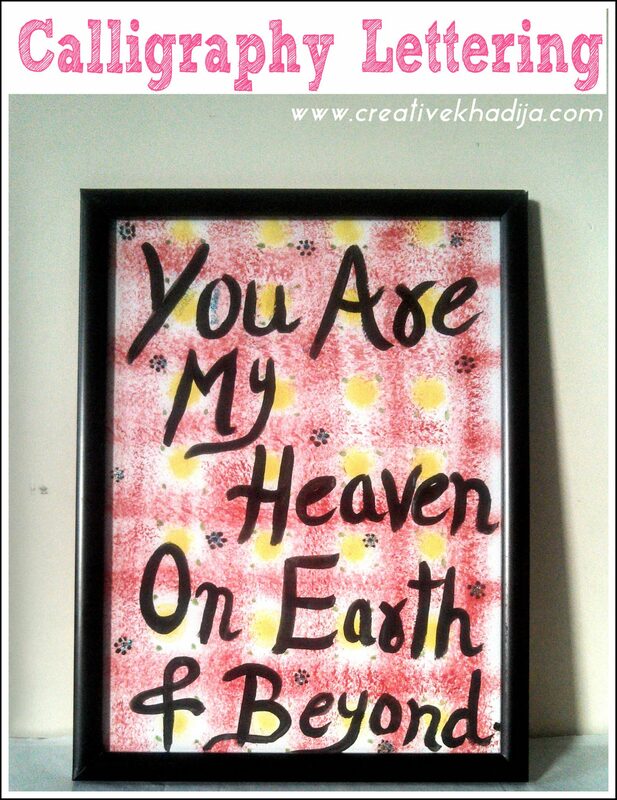 I made two wall hangings & these are big frames, I did glass paint calligraphy & glass mosaic on border.. Taking a picture of any mirror thing is not an easy job..I realize while working on this tutorial.. I use golden outliner & trace the calligraphy design on mirror with tracing sheet. It was the first coat of red crystal line glass paint. First of all you will have to measure the center of the mirror,then start painting. I use marker line. The First coat & then the second coat result.you can see the difference above!! Here are my paintbrushes gifted by Plaid. I use one calligraphy stroke brush & one slim tip. After Paint, mosaic work starts now! 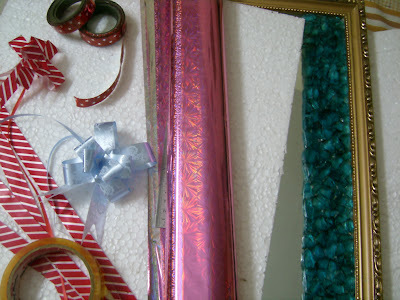 Now paste a thick layer of glue on glass as a border, start pasting glass pieces as a mosaic design! After 24 hours the glue will be dry totally, then You will have to apply another layer of glue over glass pieces & wait a few more hours until dry. Then paint it with turquoise glass paint. 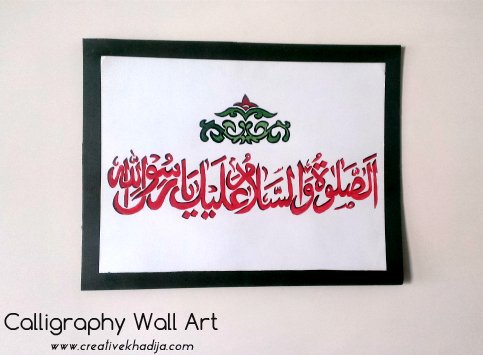 Late night I complete the work..Next morning I saw the wall hangings on my work table & I was…waooo..in fact MashaAllah.. Here is the packing material & sheets with some ribbons & bows..But I forgot to take the picture of its packed look. I thought I did but when I was uploading pics from camera,there was not any gift packed image & the package was sent to them. I hope you liked the tutorial & my work. Your glass painting is very lovely. And I really like the new look of your blog. It does look much neater and more organized. Very neat idea! Your glass painting came out beautiful Khadija! Wow – great tutorial! Love your new website – keep up your good work. The work you put into this is wonderful. Beautiful Khadija! I love the mosaic part! 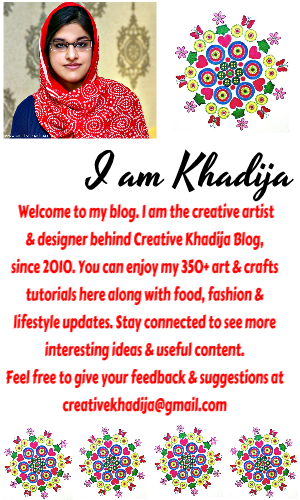 Love the new look of your blog, Khadija! What a perfect way to start with the name of Allah! Masha Allah, great work! Your work is always so good, I wish I just had 1/4 your imagination. The mosaics are beautiful. Thanks for sharing your creative inspiration with Sunday’s Best – you helped make the party a success! Thank You so much everyone :)I love reading your appreciation & sweet words! Hi, Khadija! I love your new design – congrats on the new domain and a new chapter in your internet adventures! 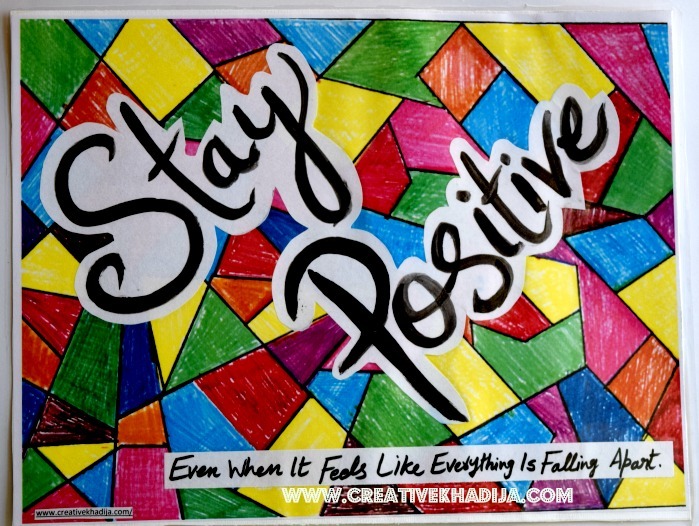 This is a really cool post – the art is so rich looking, and painting the mosaic glass is just brilliant! They look gorgeous framed. That is so beautiful! I love the gold outline on the letters. You have a good eye for what is beautiful! Beautiful!! Thanks for sharing at the Pomp Party! Your work is always stunning.. 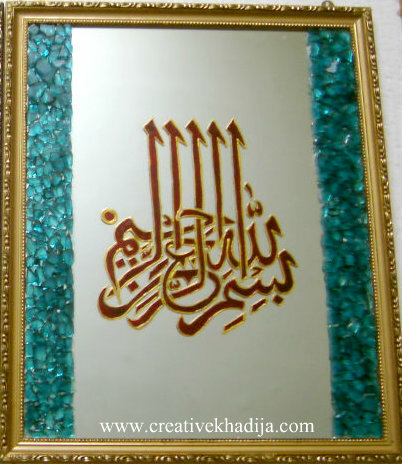 But calligraphy as a glass painting must be slightly more difficult… Thank you for linking into Made with Love last week..
assalmualaikum wa rahmatulahi wa barakatu! wow masha’Allah this is totally beautiful!!!!!!!!! i would love to try this out!!! Great to read your words, definitely try this & show me so I will share your effort with my readers! oh Khadija i would be too embarrassed to share my piece! it will not compare to yours loll…mine would probably look like a 5 year old’s artwork!!! but insha’Allah when i get my hands on these materials i will for sure be doing things.. i will show you only >_<!! This is GORGEOUS! Thank you for sharing at the Culture Swapper! Just featured your post on this month’s Culture Swapper! really your works are superb.. I liked you painting very much but actually i liked the way you explain the whole process. It makes glass painting so easy for new comers. I have started doing islamic glass paintings as well. Hope you will like it. 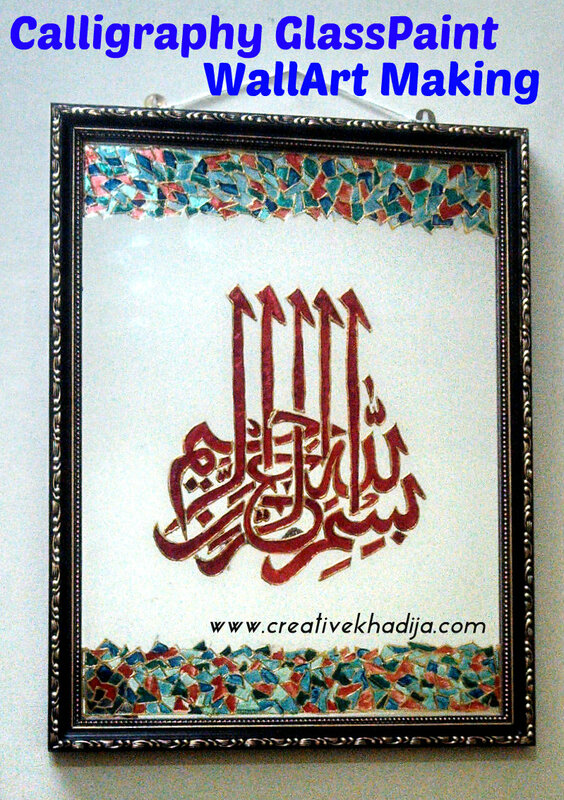 hi khadija, i like your painting very much…. i am going to make it very soon.. but request is please upload a front view of this pattern.so that i can take out a print out… please…. Thats great.. but dear I have sent these wall hangings to the customers now! I will search the pattern & will see if I can drop it in ur e-mail..! this is great !!! 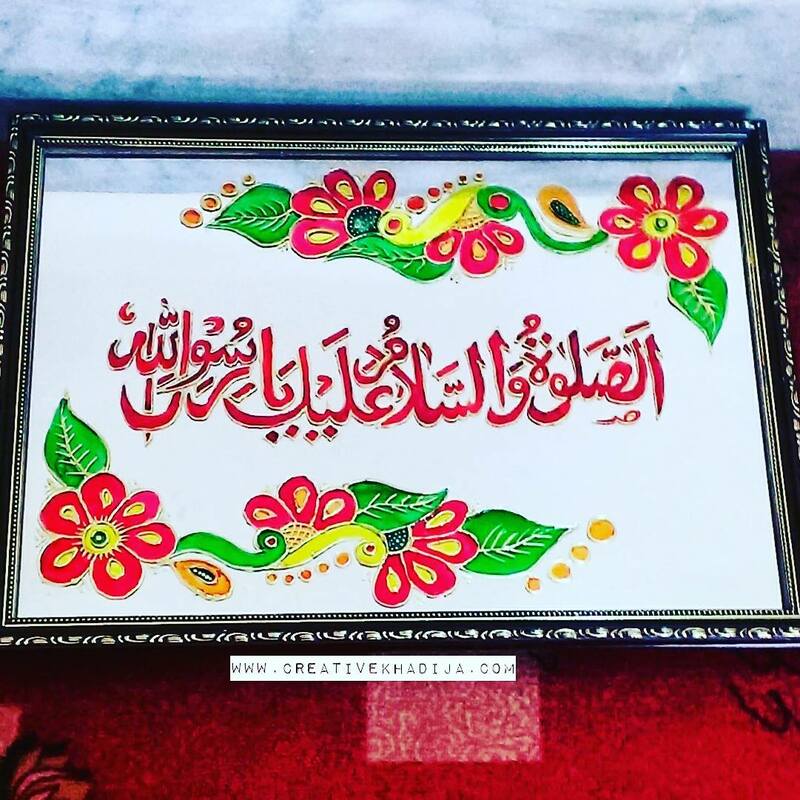 i have ur glasspainting and calligraphy first time and i like it. This is absolutely beautiful. I think Arabic writing is one of the most artistic and beautiful person produced designs. I love to look at pictures of mosques with written subjects on them, especially prayers and poems because it shows the soul of the calligrapher. The art which given by Allah you are using right way. Keep it up. God bless your business. I living in Karachi how I get Led Outlone here?? Thanks a lot everyone for the words of appreciation.. my pleasure! You can get this Led outline (which is usually called outliner for glass paint) at any craft store or book stationary! its available easily! !